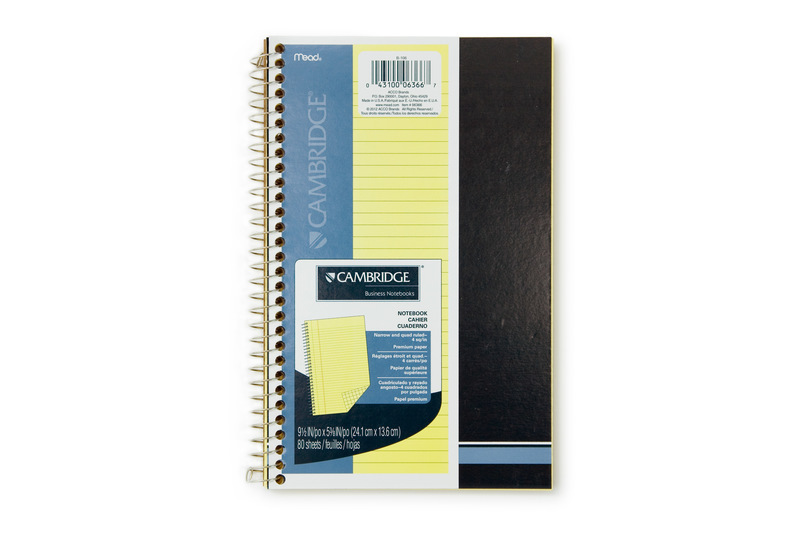 Mead Legal Pad mit Spiralbindung – liniert und kariert / Spiral bound legal pad – ruled and squared - Cambridge Block 12 Stück / 12 - pack - Unbestimmt kaufen / buy - r.s.v.p. 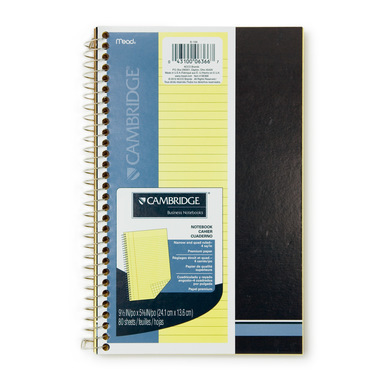 The typical US-American legal pad: yellow paper, perforated,spiral bound on the long side. The front of each sheet is lined, the back squared. Heavy cardboard backing.